Need help with homework? 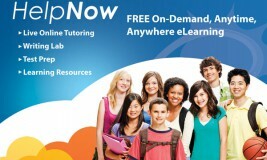 With Brainfuse, you can connect with an online tutor who can help you with your homework. Be sure to have your library barcode ready AND mention that you are a New York State student, and they will put you through to a Common Core-Trained Tutor. You can also play quizzes and games to practice for exams. Check it out and see all it has to offer!